What is the best Zinc supplement? Yes, today I will talk about Zinc and how essential this mineral is for a healthy nervous system. I am sure many of you get enough zinc with your diet, but sometimes you need to consider supplements. If you are always stressed, you lose a lot of essential vitamins and minerals, and one of these elements is Zinc. So why do you need Zinc? It’s not only essential for your health and well-being but also plays a vital role in your response to stress. Zinc is responsible for GABA synthesizing, and it also balances this neurotransmitter’s activity. 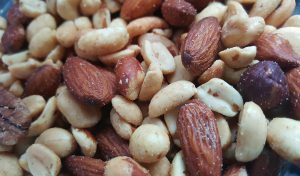 Zinc and Vitamin B6 are required for serotonin production. Do you want to know, why is it so important? Of course, you do. If somebody has low levels of serotonin, they feel depressed. But Zinc is used to treat depression standalone or in conjunction with antidepressants. 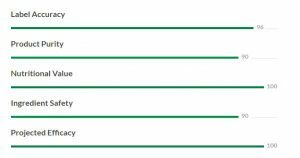 I chose five best Zinc supplements, according to Labdoor. They analyzed 28 best-selling zinc supplements in the United States. Labdoor looked for elemental zinc content and heavy metal (arsenic, lead, silver etc.) contamination. Description: This supplement contains 30 mg Raw Zinc (200 % DV) and also Raw Vitamin C (100 % DV). These zinc capsules include a Raw Veggie Mineral Blend (17 organically grown vegetables) and 75 soil-based alkalizing trace minerals. As you can see in ingredient list below, this plant-based zinc vitamin includes also RAW probiotic and enzyme blend. Ingredients: Zinc 30 mg = 200 % ETM, herbal Cellulose (capsule), organic rice (hull). Raw organic fruit and vegetable blend: Organic Turnip (Root), Organic Apple (Fruit), Organic Broccoli (Stem and Flower), Organic Blackberry (Fruit), Organic Carrot, Organic Green Onion Organic Celery (stalk), Organic Green Pepper (Fruit), Organic Blueberry (Fruit), Organic Brussels Sprouts (Leaf), Organic Garlic (Onion), Organic Ginger (Root), Organic Cauliflower (flower and stalk), Organic Asparagus (flower and stalk). + This supplement is free of gluten, dairy and non-GMO, and it doesn’t contain binders of fillers. Description: This supplement that is highly bioavailable contains 25 mg of zinc per tablet. Description: This dietary supplement is made with organic vegetables and herbs (International Certification Services) Certified Organic). This Supplemental Food (Whole-Food Complex) can be taken on an empty stomach and is probiotic cultured. Ingredients: zinc oxide (100%), copper sulfate (75 %), Organic gum acacia, Silica, lac resin, carnauba wax, maltodextrin, fermented soy and fermented wheat. It includes a proprietary blend of Elderberry, organic Eleuthero root, and organic Astragalus. Probiotic-cultured nutrients provide of phytonutrients and ferment metabolites such as, including isoflavones and beta-glucans. It contains Organic Peppermint (leaf), Organic Aloe (leaf), Organic Cardamom (fruit), Organic Coriander (seed), Organic Artichoke (leaf), Organic Fenugreek, Grape seed extract, Organic Oregano (leaf), Organic Hawthorn (berry and seed). – Some people don’t like that New Chapter is now owned by Proctor & Gamble company that is a big supporter of Monsanto. Many of us know that Monsanto is slowly destroying the health of humans (GMO), and our planet. Description: This supplement contains a high potency patented zinc carnosine. It was used for gastrointestinal health and in Japanese clinical trials. + It doesn’t contain artificial flavors, colors, and preservatives. 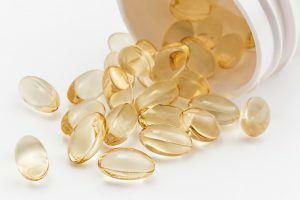 What Is The Best Zinc Supplement? As you can see below, label accuracy, product purity, nutritional value, ingredient safety, projected efficacy were analyzed. All of these supplements are free of gluten and GMO. In my opinion, the best Zinc supplement is the first one – Garden of Life Vegan Zinc because it includes 75 soil-based alkalizing trace minerals and Raw Veggie Mineral Blend (17 organically grown vegetables). This plant-based zinc vitamin also has probiotic and enzyme blend. It’s great that this supplement doesn’t contain binders or fillers and is suitable for vegans and vegetarians. If I need to buy a Zinc supplement, I would choose this one for sure. 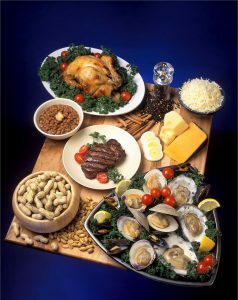 If you want to have a healthy nervous system, you would eat foods that are rich in zinc. Sometimes when you feel a lot of stress, you need to take a zinc supplement. Of course, always better is to get zinc, other minerals, and vitamins with food. If you think, that you need a Zinc supplement, consult with your doctor. So what do you think about these supplements? Do you already take a Zinc supplement? Did you know, how essential is zinc for your mental health and well-being? What do you think? Let me know below! If you are looking for the best Zinc supplement, CLICK HERE Now to learn more. If you want to know more about ways how you can manage stress, so please subscribe to this blog, and you will receive notification, when a new post is published. If you enjoyed this article, please share it and let your friends know. Spirulina contains the maximum amount of nutrition, which we required for our survival in our daily life. It contains the maximum percentage of protein content. It is a superfood but many people do not know it. Your post will motivate them to use spirulina. Thank you for your comment! I know how wonderful is spirulina and how can it help us with our health and stress management. I even plan to write a post about spirulina supplements.